1 Thess 5:18-In all things give thanks, this is the will of God in Christ Jesus concerning you. Make a display board with a picture of a turkey reading his Bible on the front with a cup stapled to the top of the board to toss a coin into. Tape feathers all over the board. Kids get three tries to get the coin in. 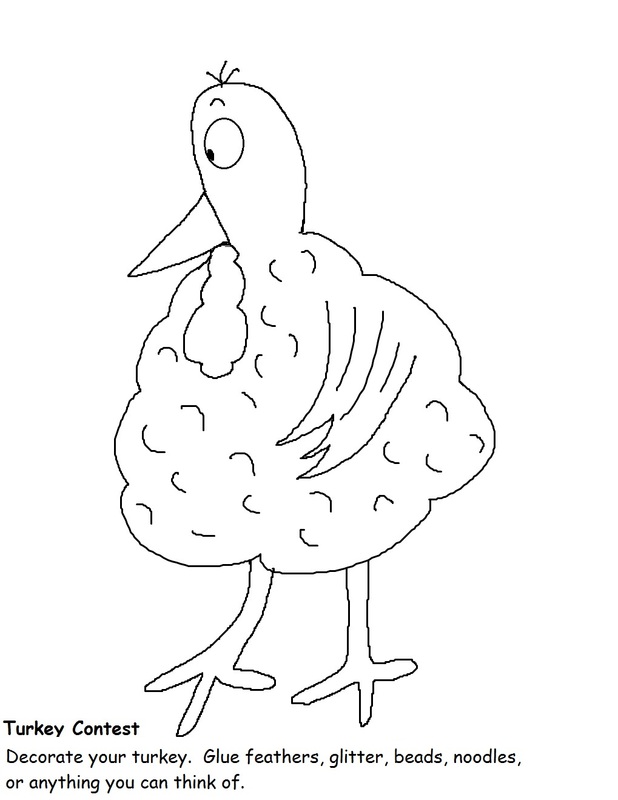 Print the Turkey Template out to go with this. Print the template out and hand out to the kids. Have them glue on feathers, glitter, beads, noodles, jewels, or anything else you might have on hand. Choose the winner of the best decorated turkey. Give the other children a sucker for trying. Give the winner a candy bar or a ziplock bag filled with some sweet treats. Print the paper out and hand out to the kids. 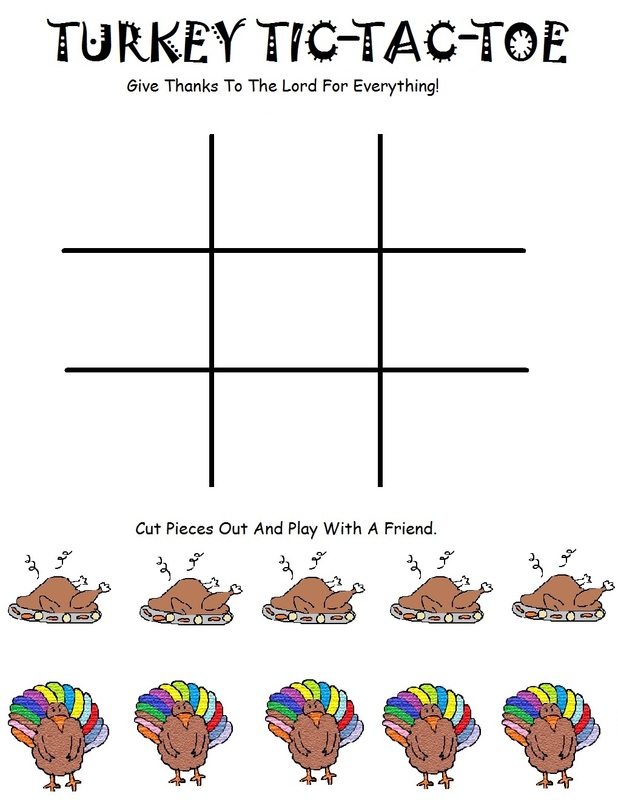 Let them play tic tac toe to see who wins. Just have them cut their pieces out in little squares. Print the template out and laminate. Cut the wattle out and add some double sided tape to the back of it. Blind fold the kids and let them try to pin the wattle on the turkey. Candy Corn Guessing Game- Put candy corn in a jar. Make sure you count how many there are before you put them in. Then let the kids guess how many candy corn are in the jar. The kid that gets the closest wins the candy corn. YUMMY! You might give a sucker out to the rest of the kids that don't get it. That way they don't feel left out. Candy Corn Hide And Seek- Take a zip-lock bag and fill it up with a bunch of candy corn. Hide the bag in a room somewhere. Then have the kids come in and look for it. The first one that finds it, gets the candy corn. Make sure you give the other kids something too for trying. We don't want hurt feelings remember. 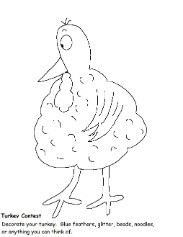 Turkey Hunt- Hide plastic turkeys around the room and let the kids find them. Who ever finds the most wins. Then just hide them again and do it all over again. 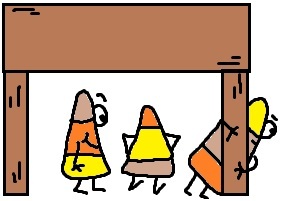 Candy Corn Spoon Race- Put a candy corn on a spoon, and have the kids race each other. First one that gets to end of the finish line wins. 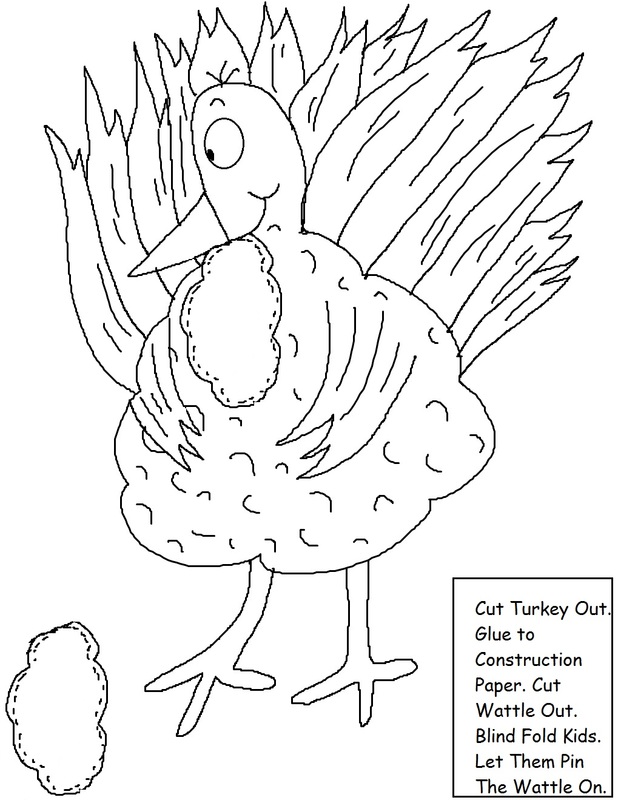 Turkey Corn Toss- Take a brown lunch bag and draw a turkey on the front of the bag. 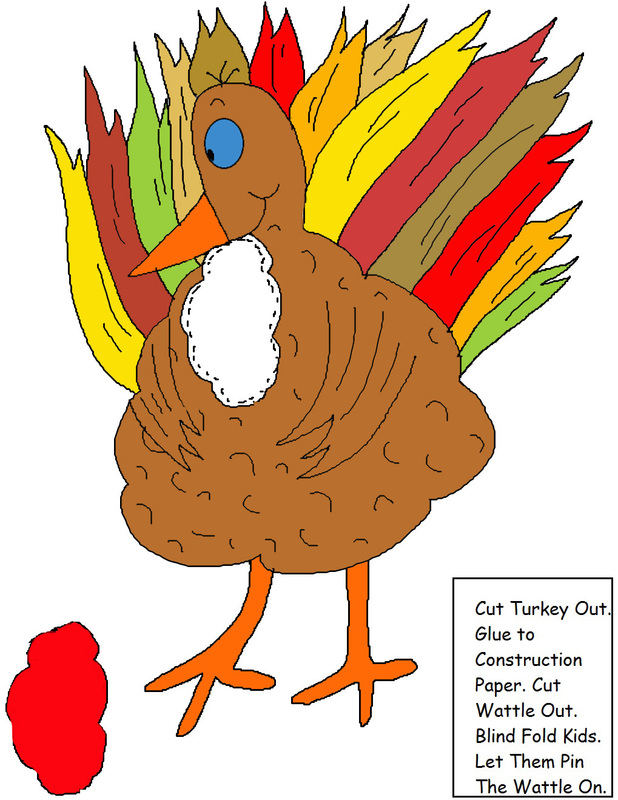 Then cut a circle out for the turkeys mouth. 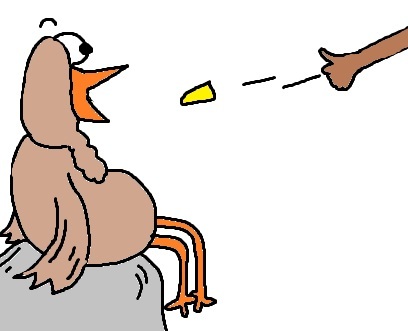 Have the kids line up and take turns throwing corn kernels into the turkeys mouth. Give them a certain amount of tries that you think is sufficient for them. The kid that gets the most kernels in the bag wins.